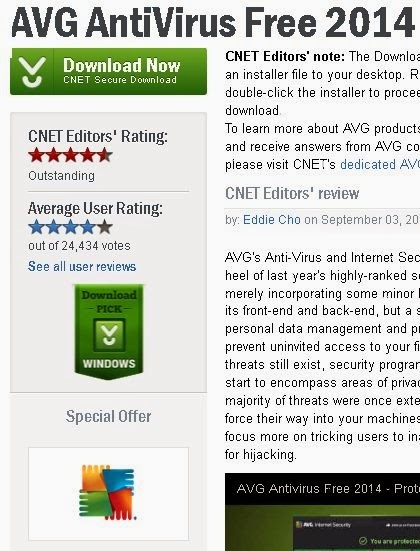 Download Avg Free 2014 for great Anti Virus protection for your computer. Just click the link below to go to the Avg download site. Once you get on the website click on the button sown above that says, "Download now, CNET Secure download" to start your download. Once you download it you can install it on your computer to help keep your pc virus free.